I too think that karma owes me a lifetime of happiness but I guess I will not get my wish, especially not from the debut album by British band Catch Fire. They have two EPs in the baggage from earlier, the one that came before this album wasn’t too impressive, I think I described it as a archetype of average – something like that. 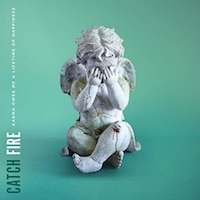 So the question is what we can say about Catch Fire’s debut album, is it less average than the EP I reviewed and is it an album worth checking out? I guess alternative rock or pop punk is a genre description of these guys, simple and catchy music with a youthful feel to it. They have a typical vocalist with a sort of teenage aggression to his singing, or something like that. 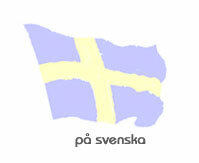 It is sort of semi-rebellious in a way, like the genre tends to be almost all the time. They aren’t really coming up with anything we haven’t heard before and compared with their peers like Boston Manor they don’t have as good a production to their album as they do – and they sound less exciting as well. The album also feels a little bit on the long side; they could have skipped some of the 42 minutes the album plays for. Still, it is a rather good album; less average than the EP I reviewed almost exactly two years ago but it is still quite average. They don’t really offer anything that feels fresh or exciting, they offer good songs but never dare to venture outside the comfortable box in which they create their music. That means an album that will be difficult to notice, perhaps the about 300 hits they had on a youtube video published in November last year proves that point. But nevertheless, I think it is an album you can listen to and like, the title is good and that alone could make it worth checking out. Perhaps karma owes me better albums than this one but I have to conclude that it is a decent debut while still hoping that they dare to think up something a bit more personal and exciting when it is time for their second. It may not set the music world alight but it is a fairly enjoyable little album that could be worth checking out – especially for those of you who really enjoy the pop punk kind of music.